From the base of Maine to the tip of Florida (and even as far down as the Mexican Yucatan Peninsula), at 266 feet above sea level, it’s the highest natural point on North America’s eastern seaboard. And a clear day along the Jersey Shore is a fine time to visit. 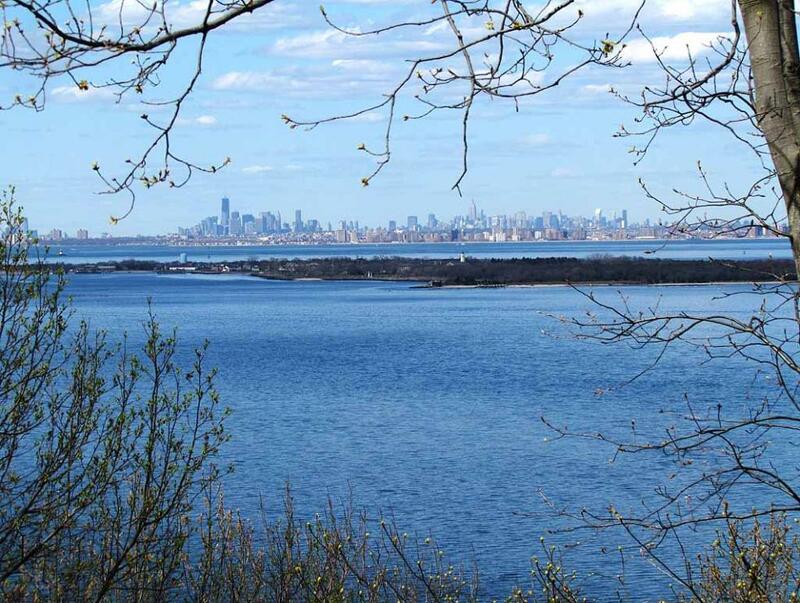 The stunning coastal spot is the Mount Mitchill Scenic Overlook — a 12-acre park in Atlantic Highlands. The spot, about 6.5 miles north of Monmouth Beach, is named for Samuel L. Mitchill, a physician, botanist, naturalist, and US senator, who first charted the area. The property was acquired by the county in 1973. The panoramic view, looking out over Sandy Hook Bay, Raritan Bay, and toward the New York City skyline, is breathtaking (see below). The county park also features a moving tribute to county victims of the September 11, 2001 terrorist attacks. Local shore communities gave more than most that awful day, nearly 150 victims called Monmouth County home. The list of honored 9/11 dead is carved in black granite. The area conveys a deep sense of serenity and reverence. For a spectacular view, a breath of fresh air, and an important reminder, I highly recommend a trip up to the lookout just off State Highway 36. There’s also a nice picnic area and playground and for kids. Make it a day trip — the surrounding bayshore area boasts many good restaurants.